StreetStyleChi is in the process of presenting the second annual For The Sake of Fashion charity fashion show, taking place March 8th, with 100% of the proceeds benefitting UNICEF. FORD Models will be a partner in the show, attending all castings and scouting for potential models. 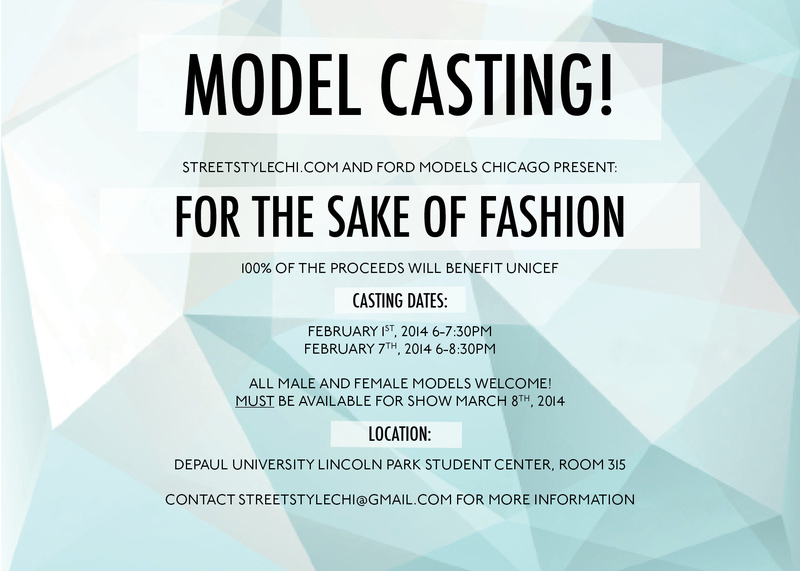 With this being said, all castings will be held on DePaul’s Lincoln Park campus, with all additional info included in the flyer below. Open casting call, all are welcome! I hope to see you on February 1st, or February 7th!